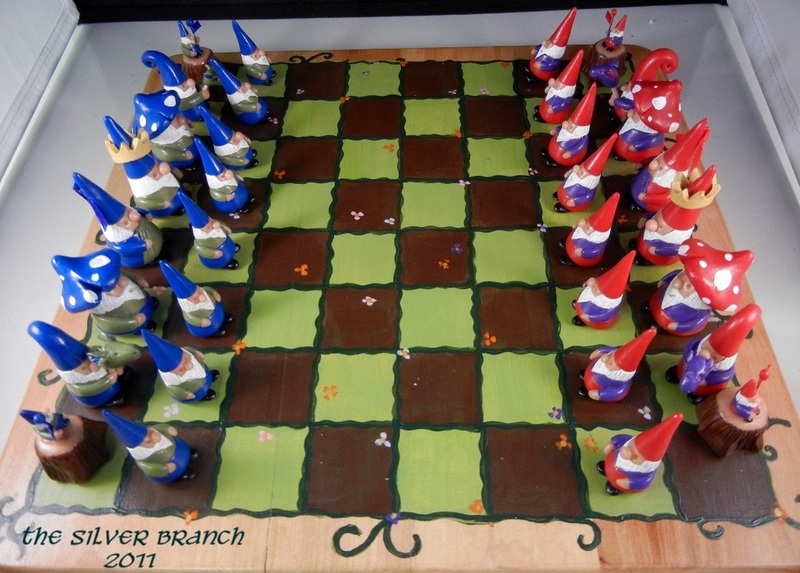 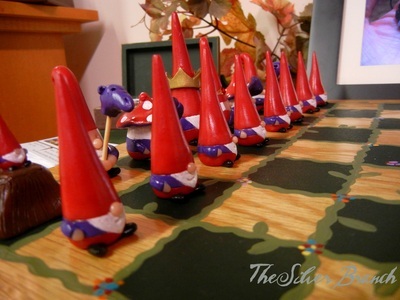 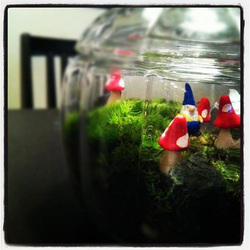 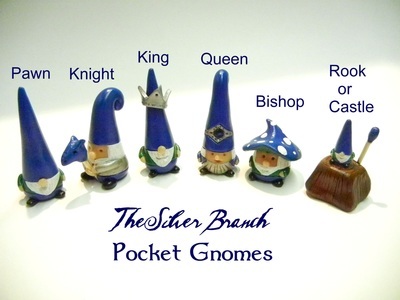 The Silver Branch Pocket Gnomes! 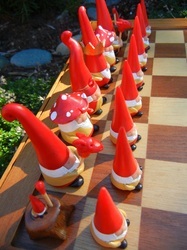 I'm often asked at festivals and shows "What's the story behind gnomes? 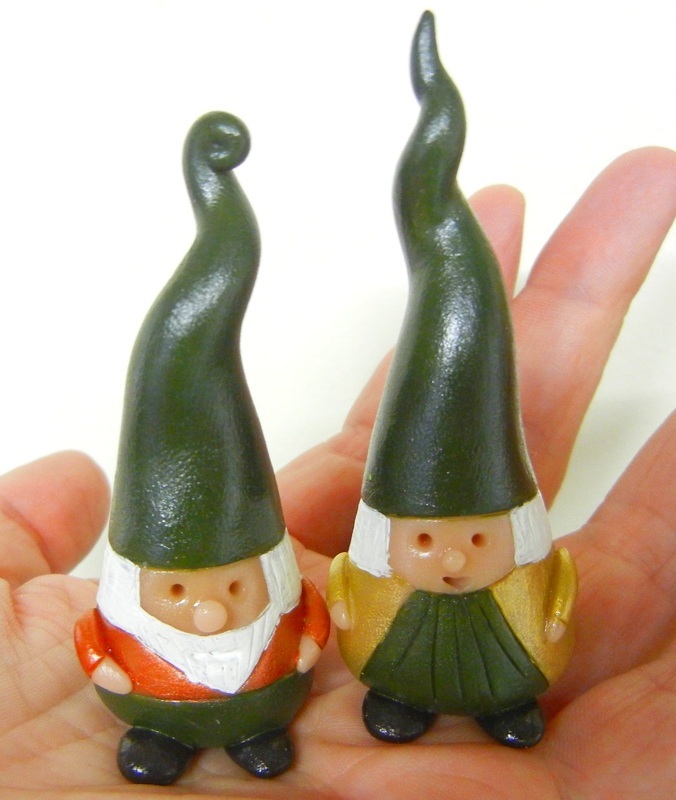 What are they?" and I always have to blink a few times, surprised that there are people out there who have never heard of them! 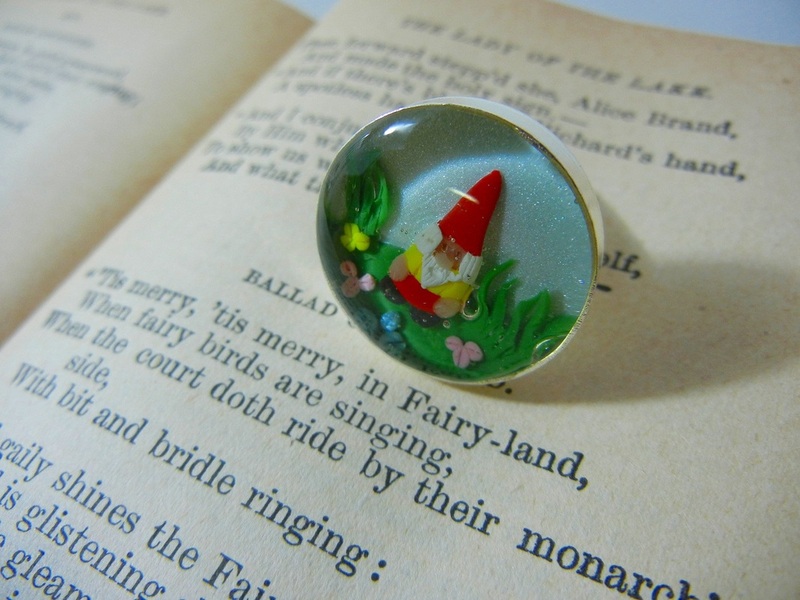 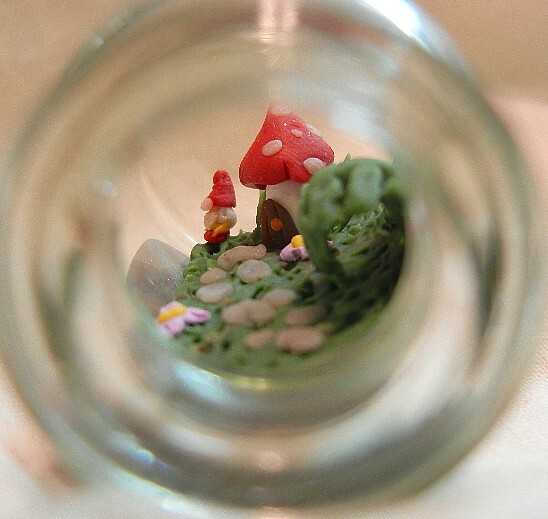 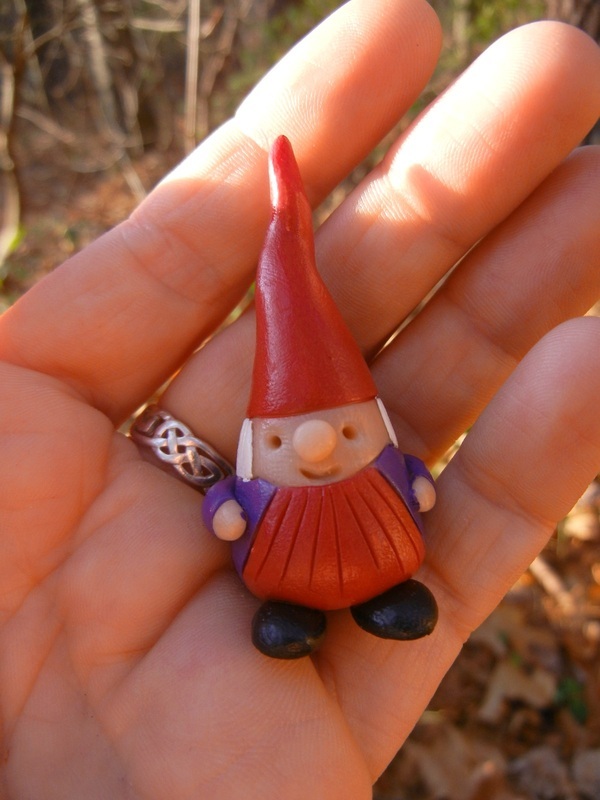 There are so many stories and "origins" of gnomes, that I won't bother to write it all here - everything from underground treasure guardians, to silent forest folk that heal animals to even guardian angels of chaste women.... their history and usage in storytelling is pretty vast. 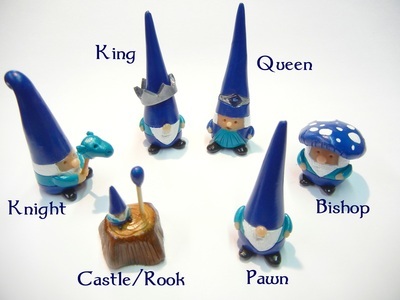 We urge you to research into them when you have the time! 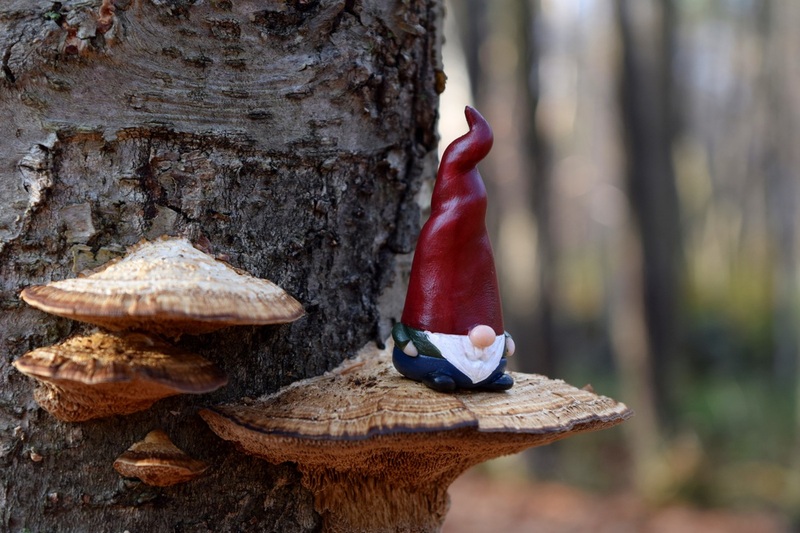 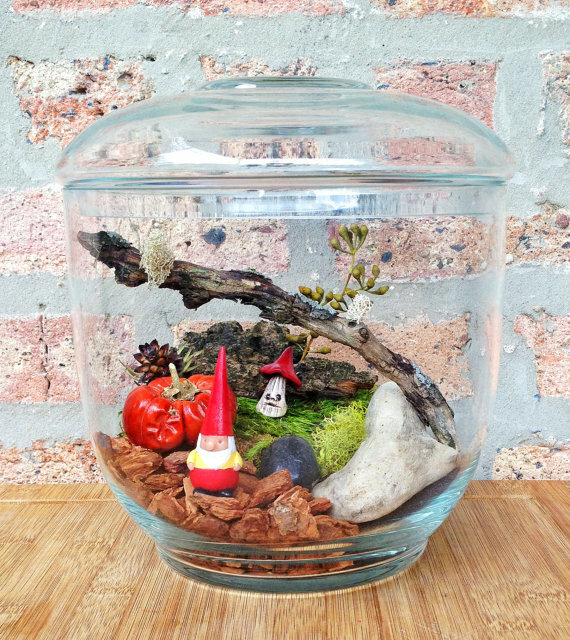 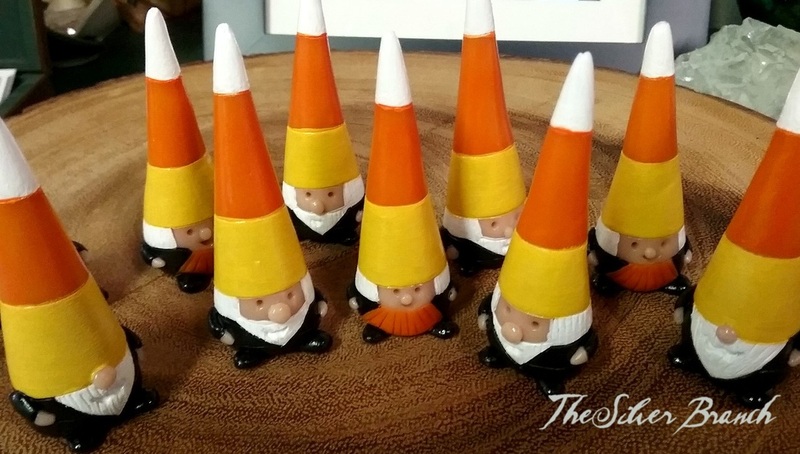 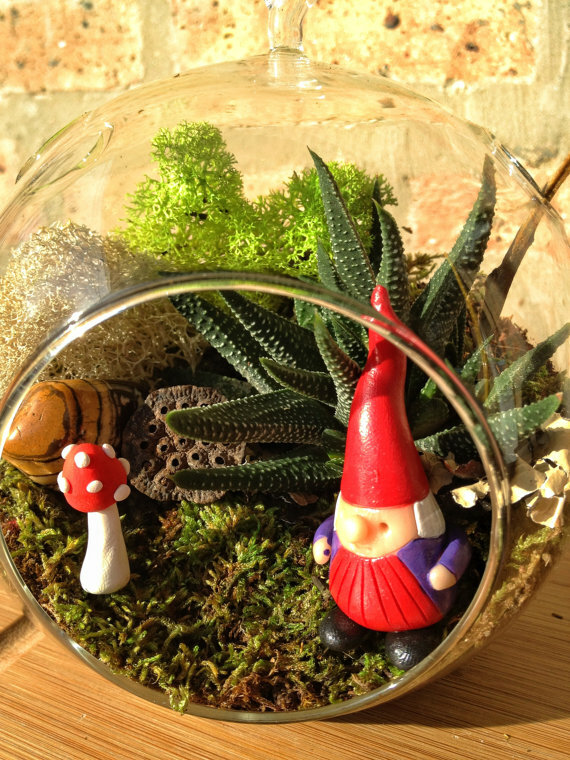 Here at TSB, the gnomes are cheery little people that love to live in the home (especially kitchens and windowsills), plant pots, gardens and forests where they tend to their own business and sometimes lend some luck your way. 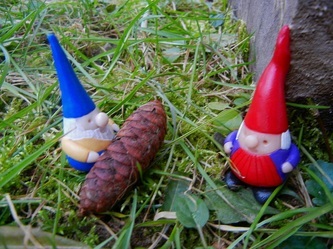 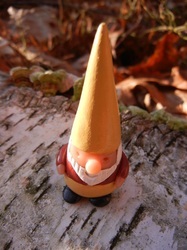 I'm reminded of the old Scandinavian portrayals of gnomes and of "David the Gnome" cartoons from my youth. 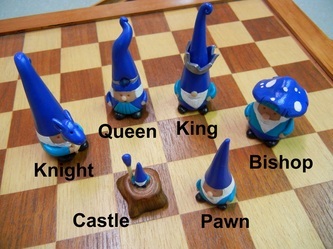 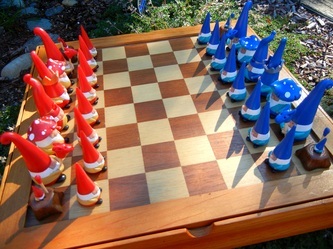 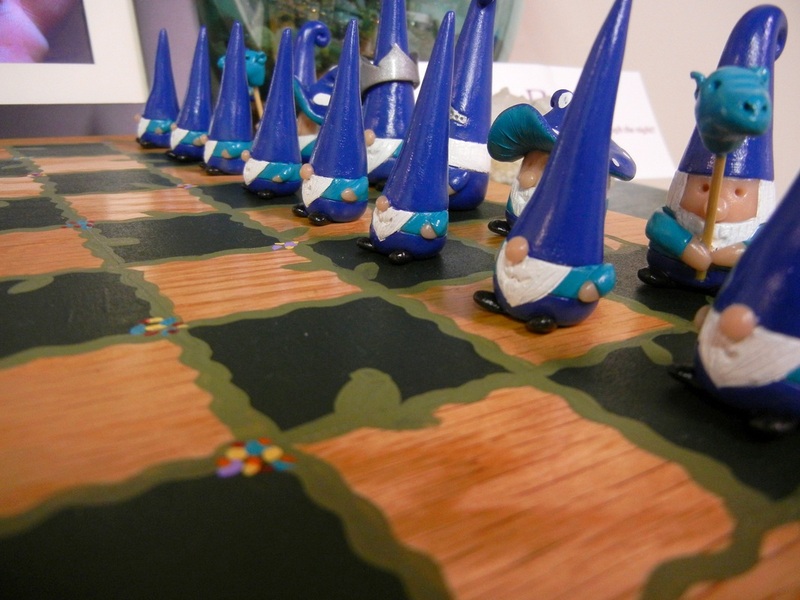 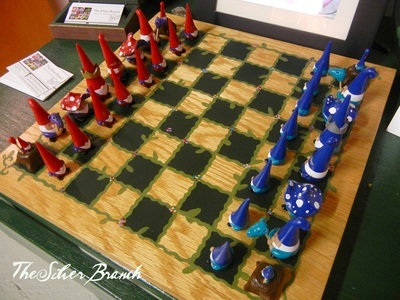 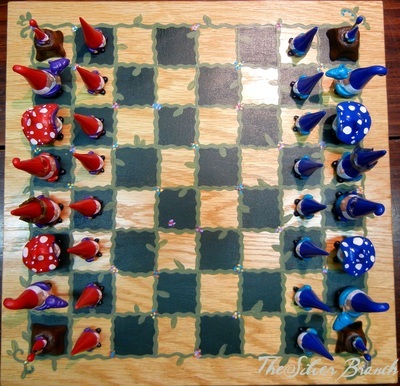 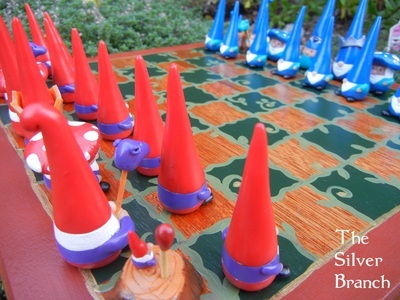 The Gnomes of TSB are an original design. 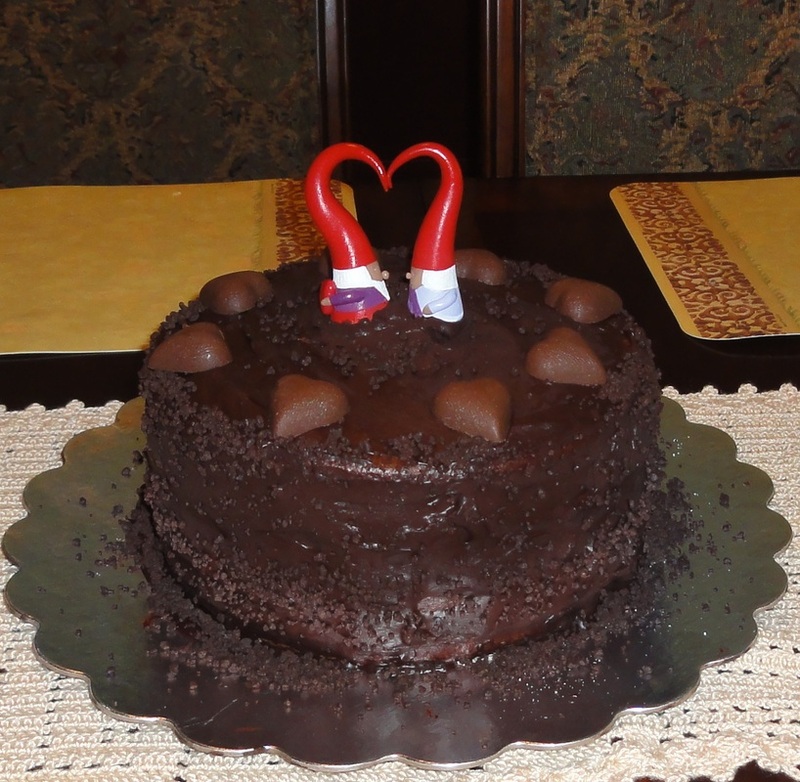 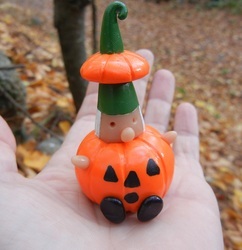 They are hand sculpted of durable blended clays and then painted and finished with a non-toxic glaze. 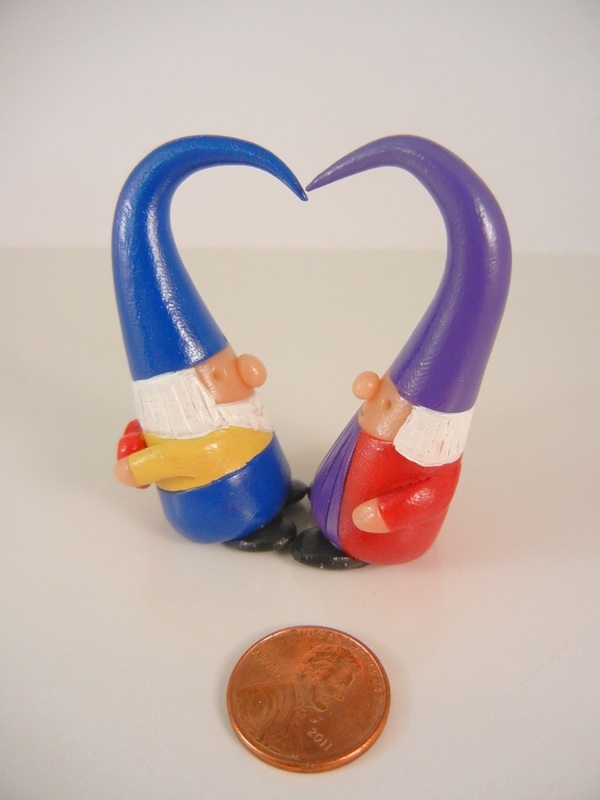 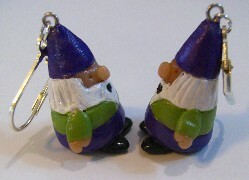 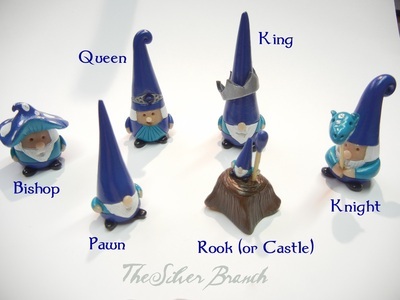 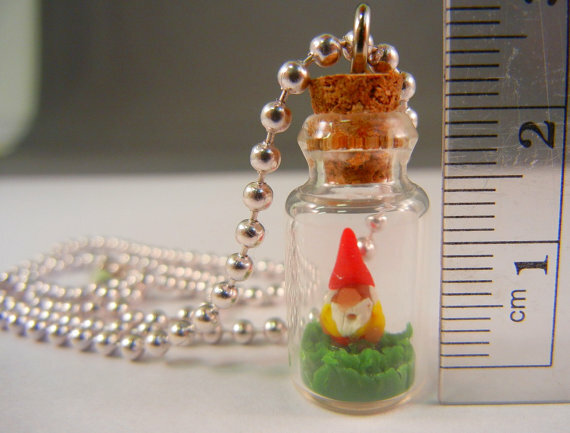 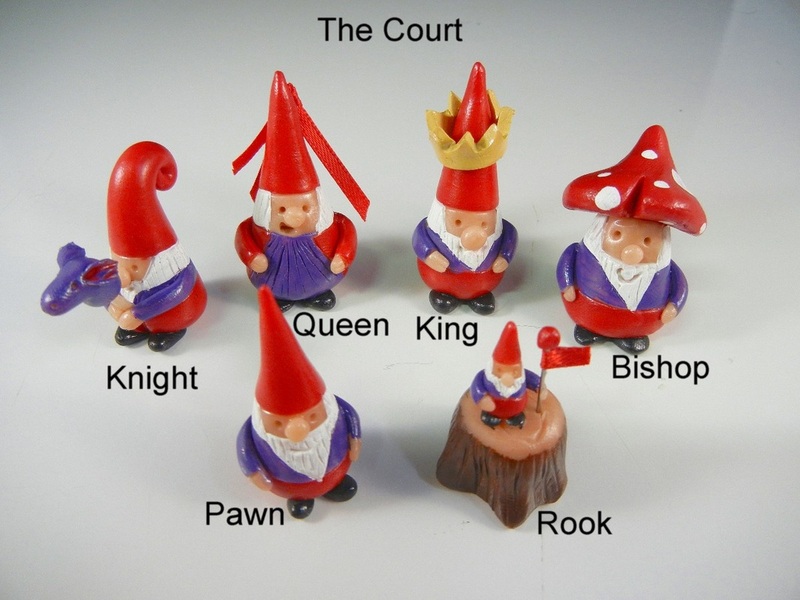 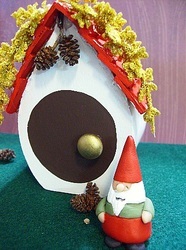 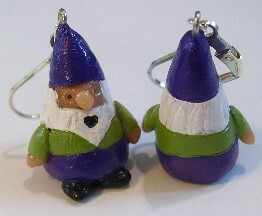 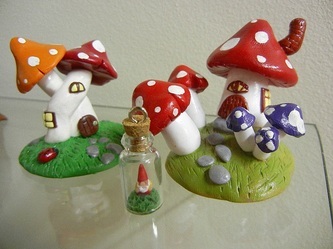 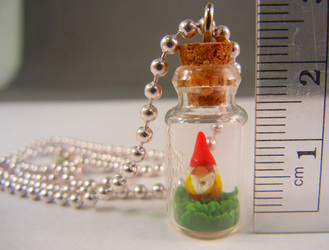 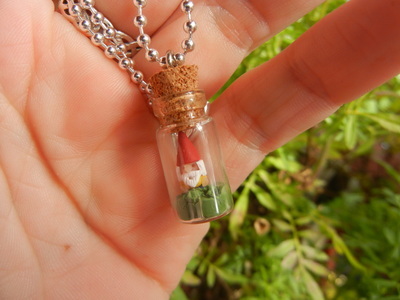 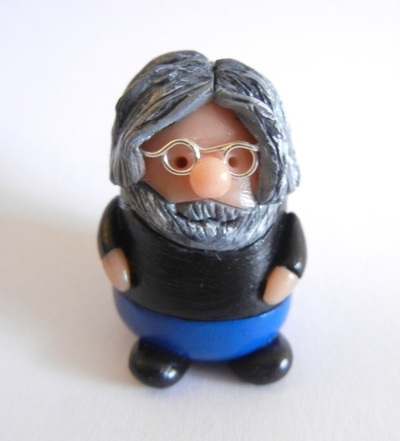 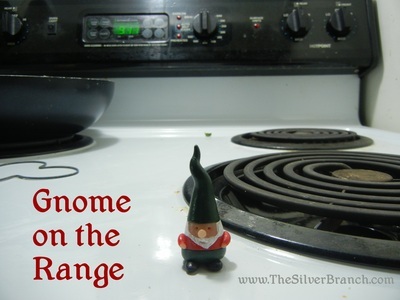 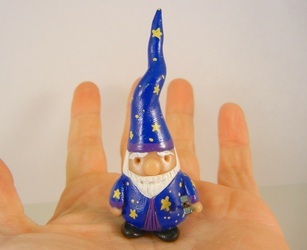 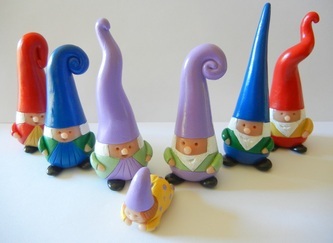 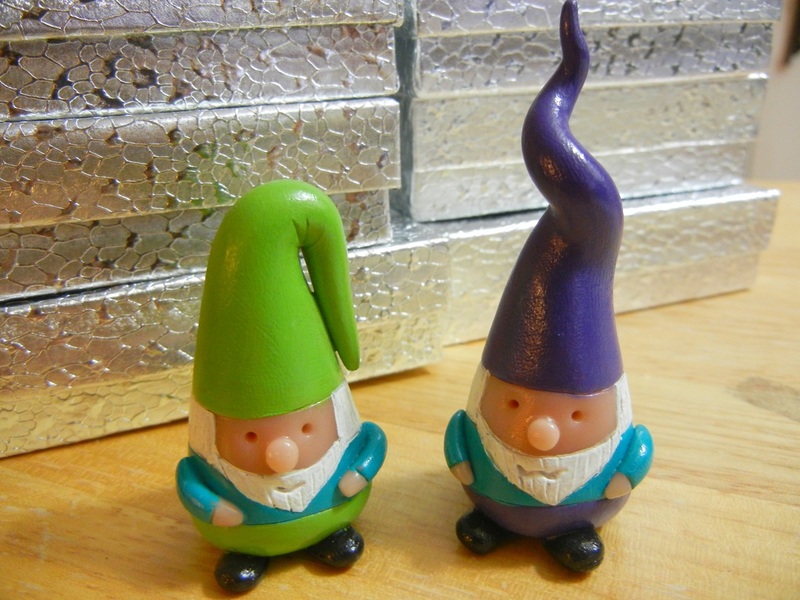 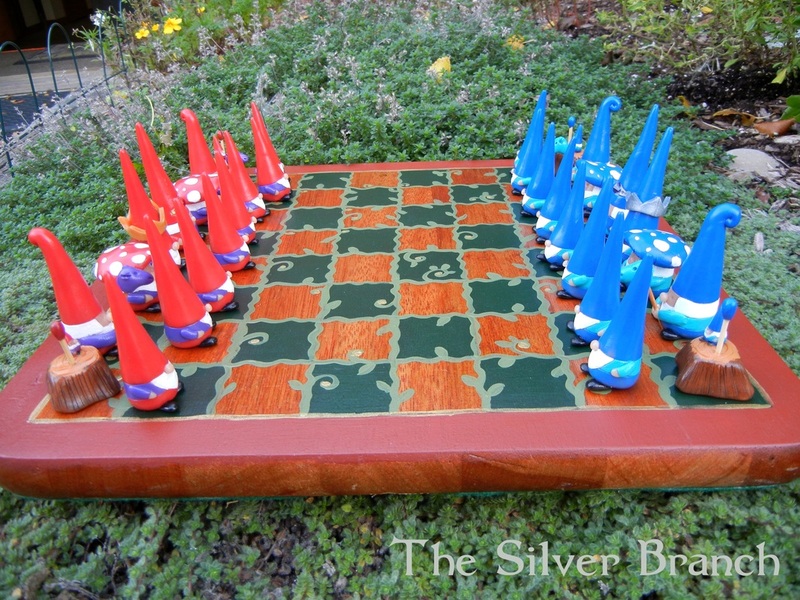 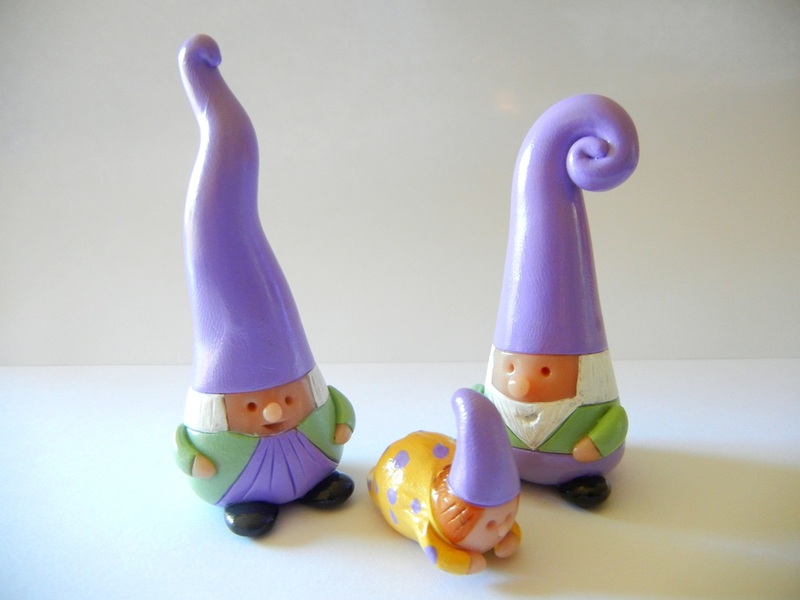 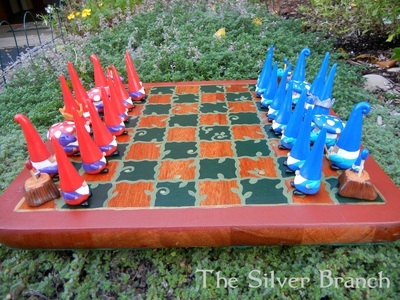 Because they are original and unique in style to The Silver Branch, they are often referred to as our "Signature Gnome" line or "Pocket Gnomes". 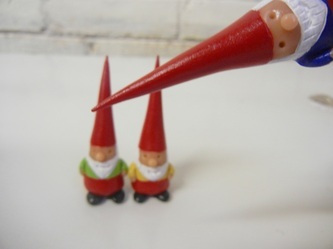 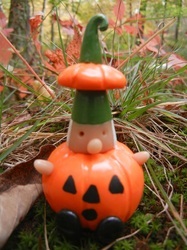 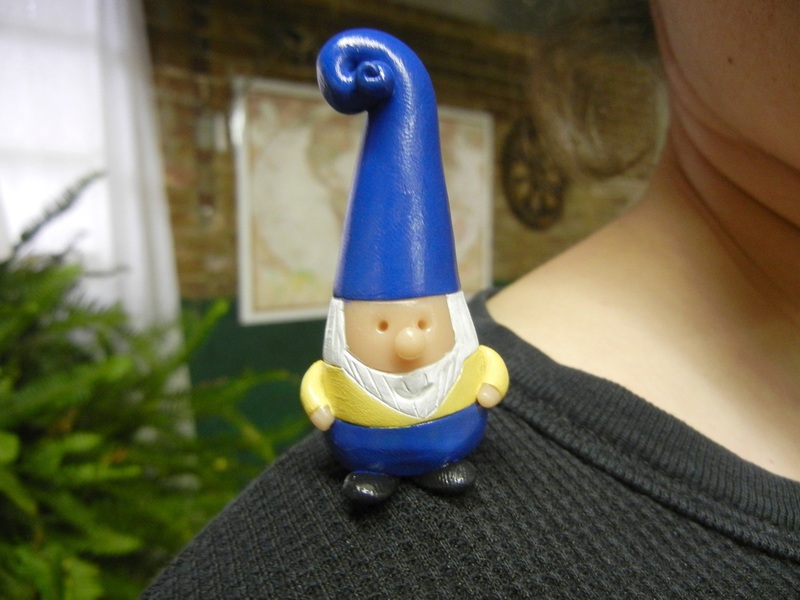 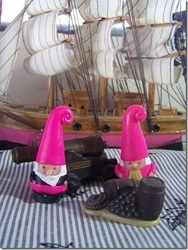 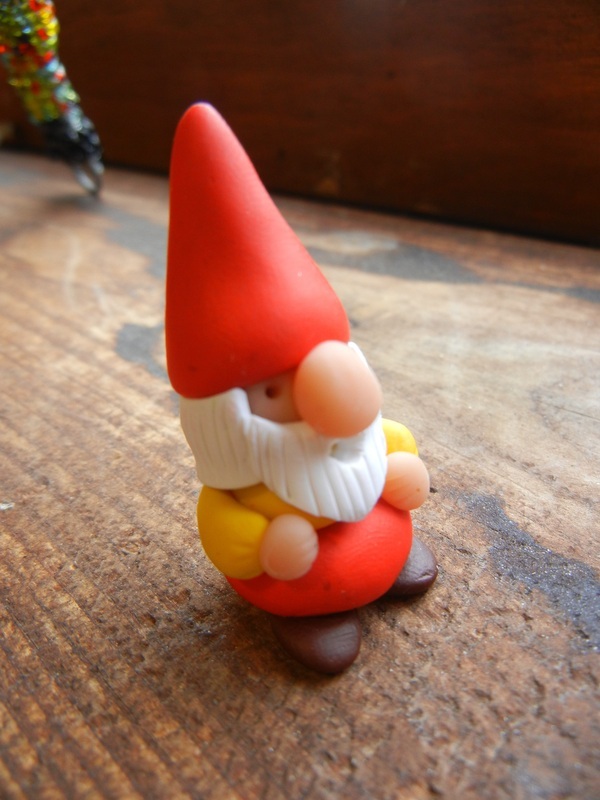 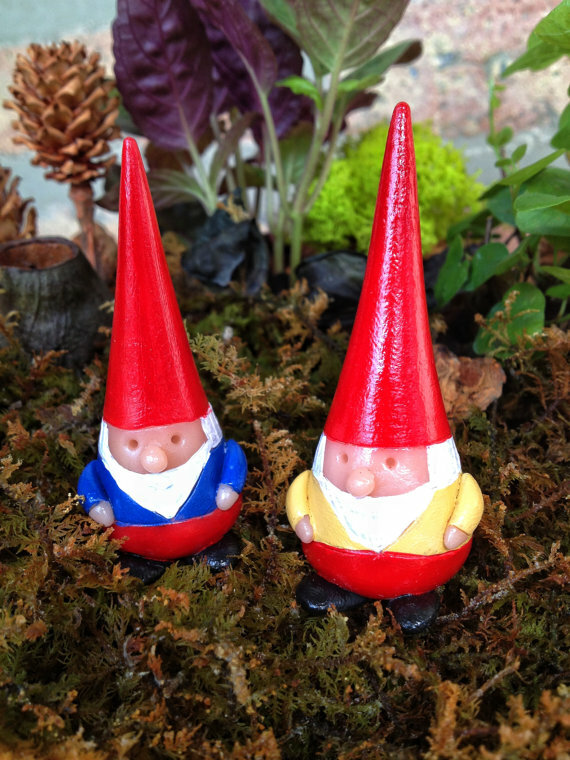 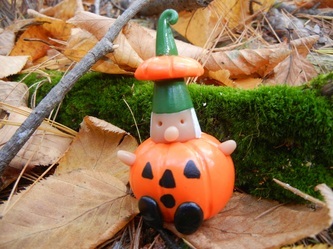 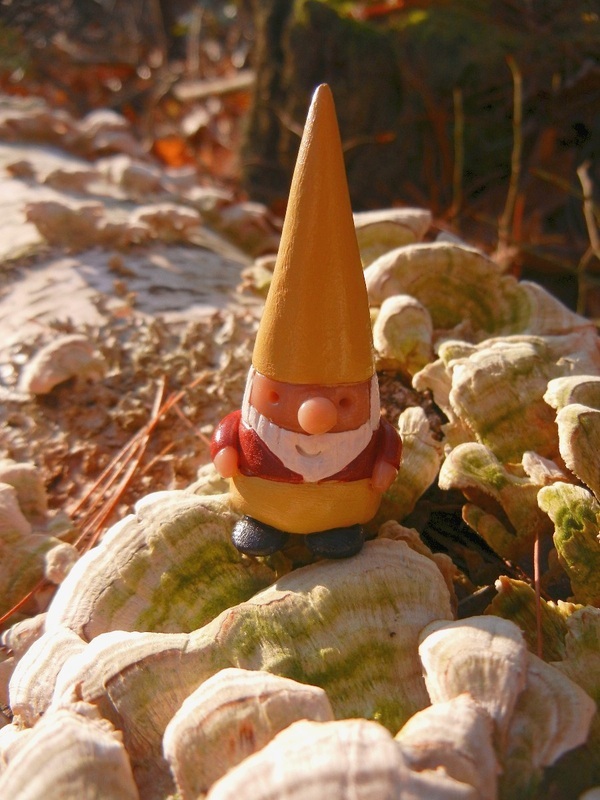 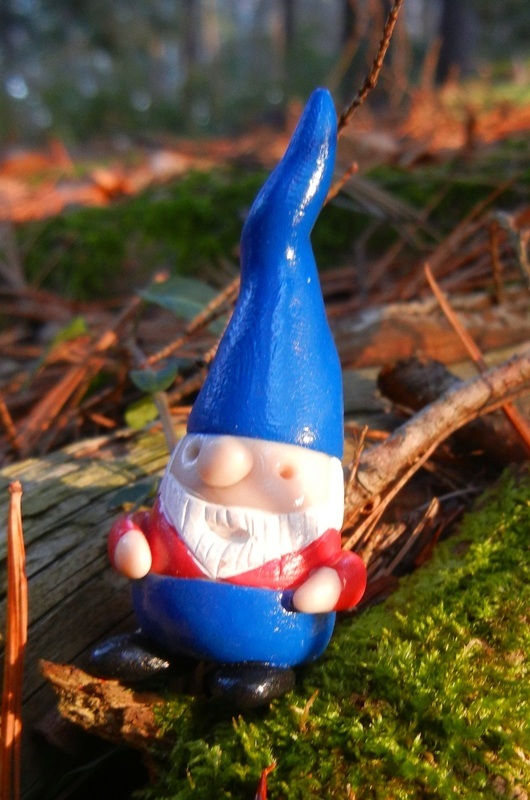 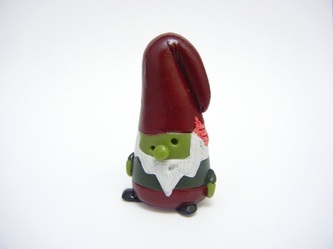 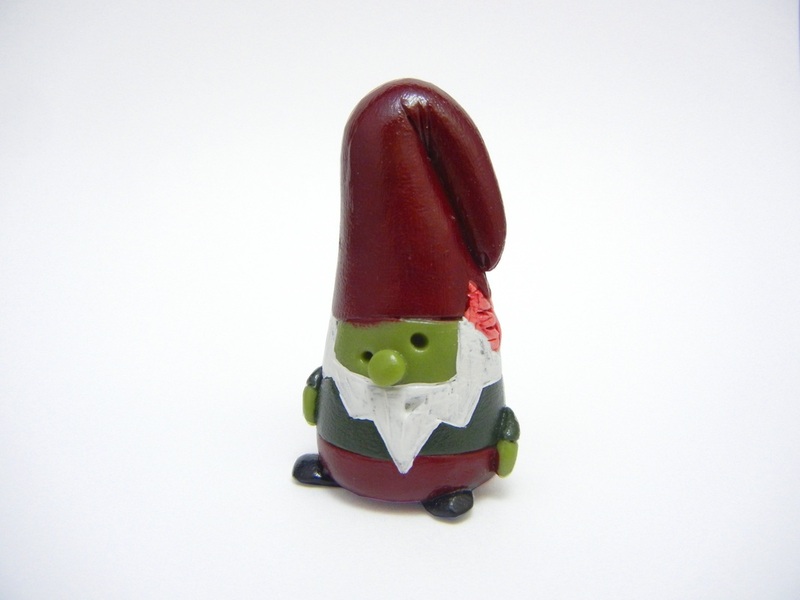 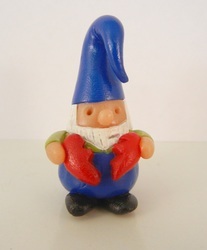 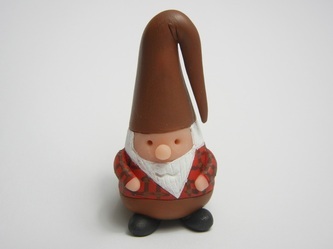 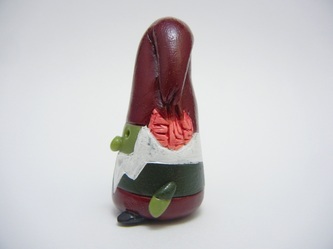 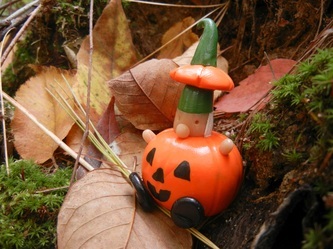 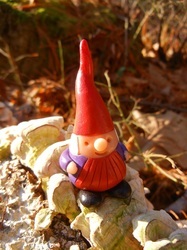 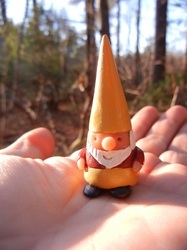 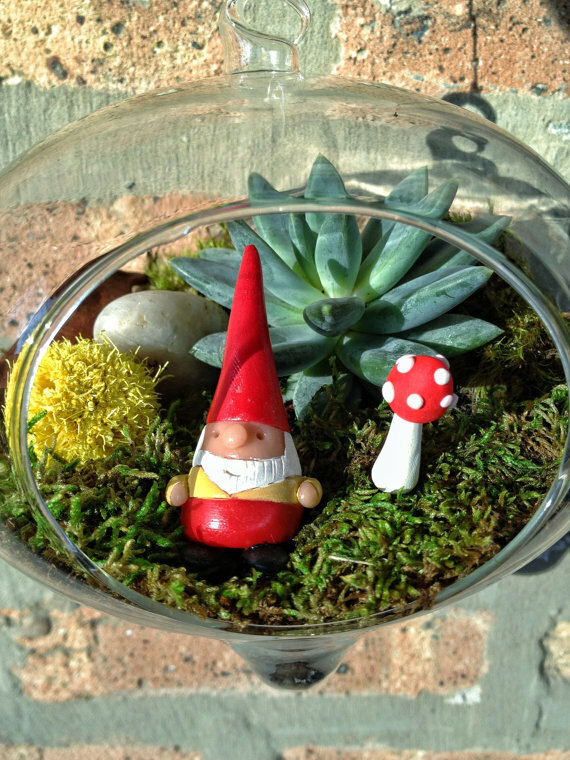 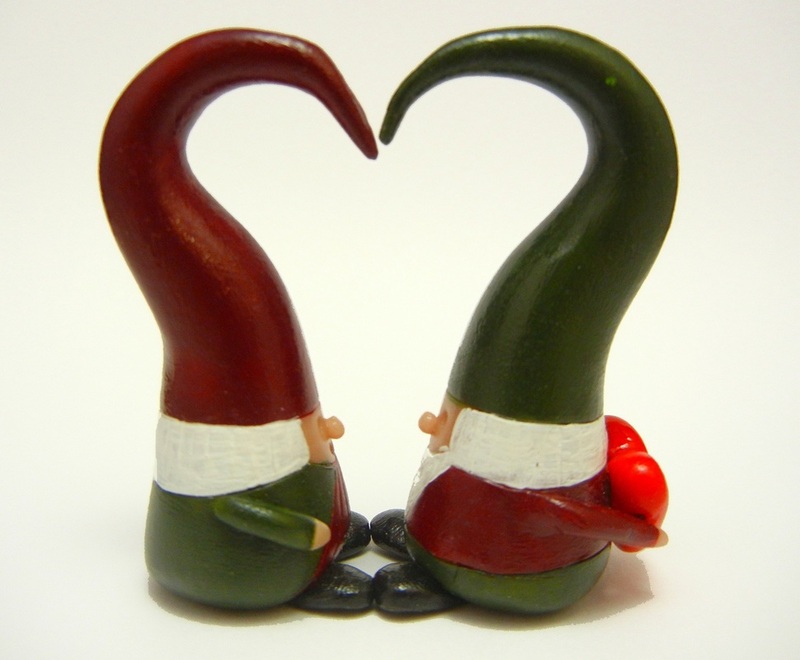 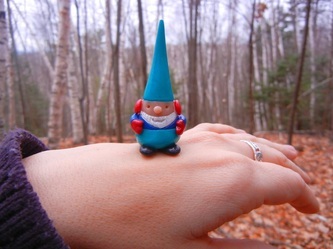 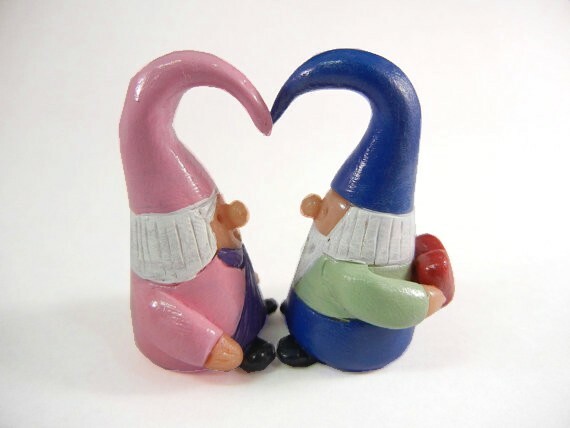 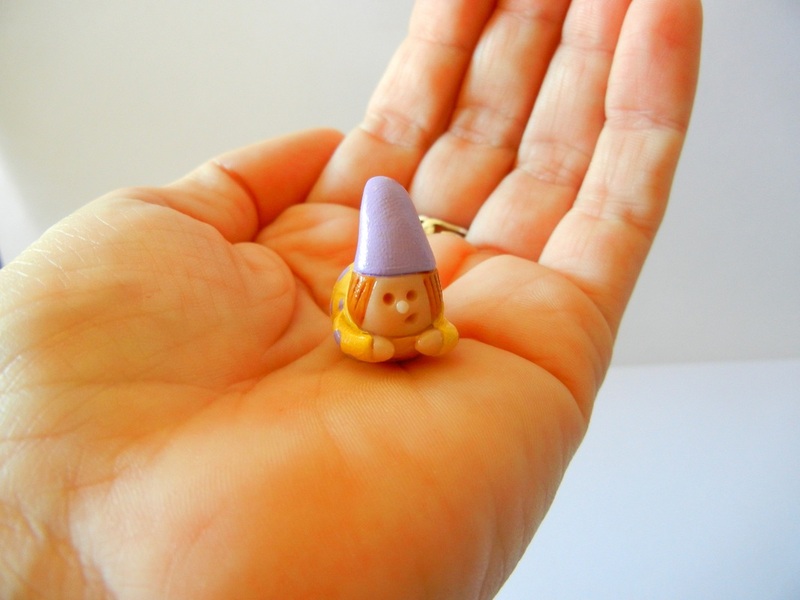 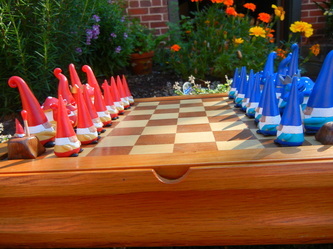 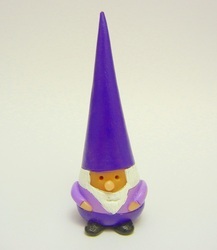 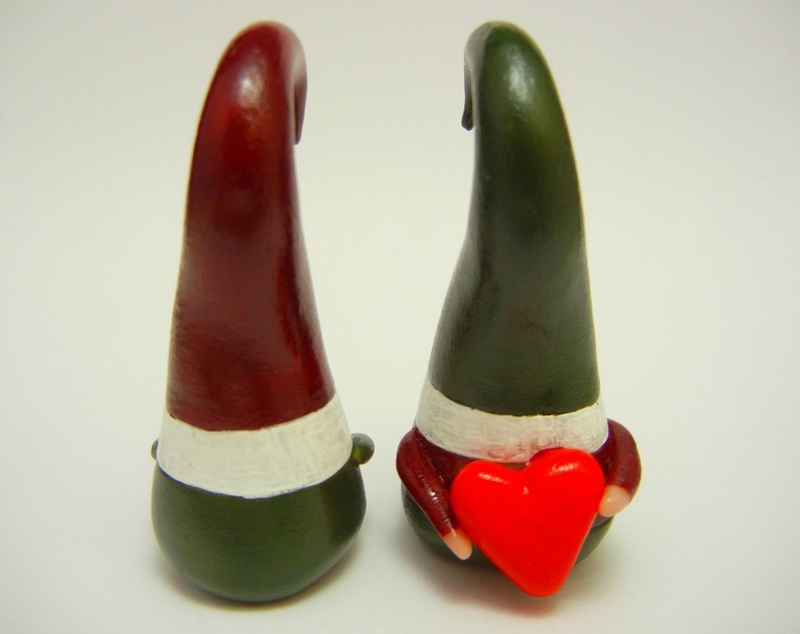 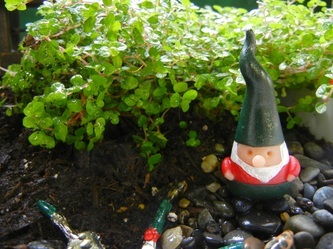 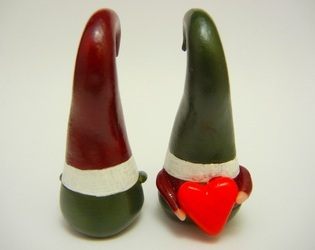 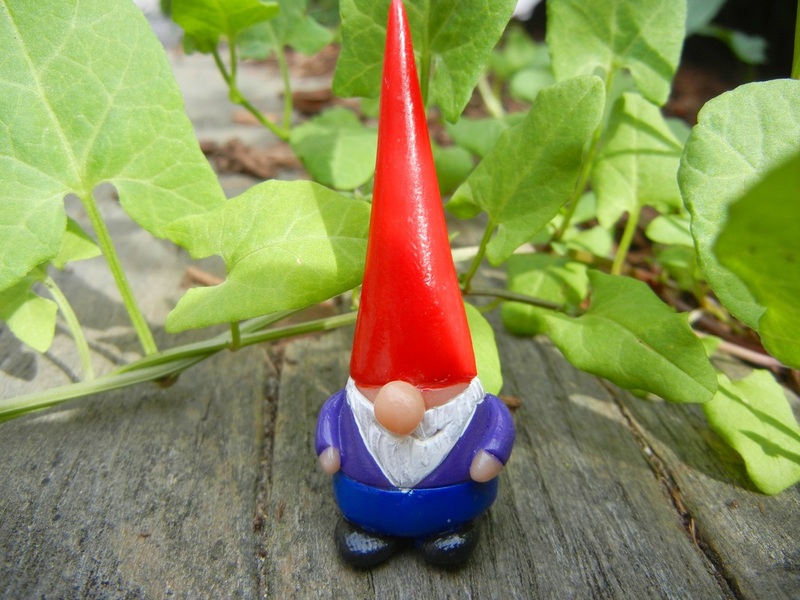 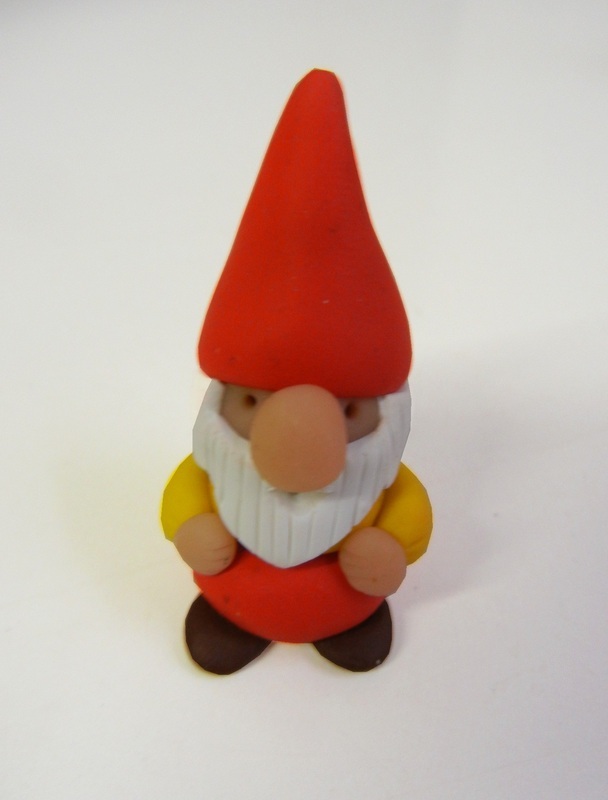 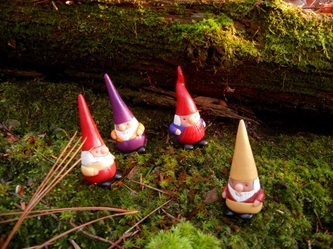 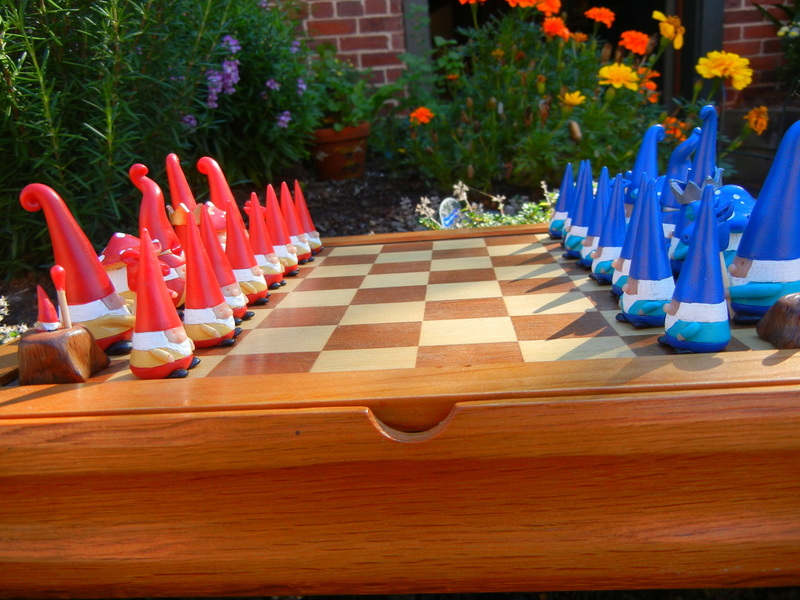 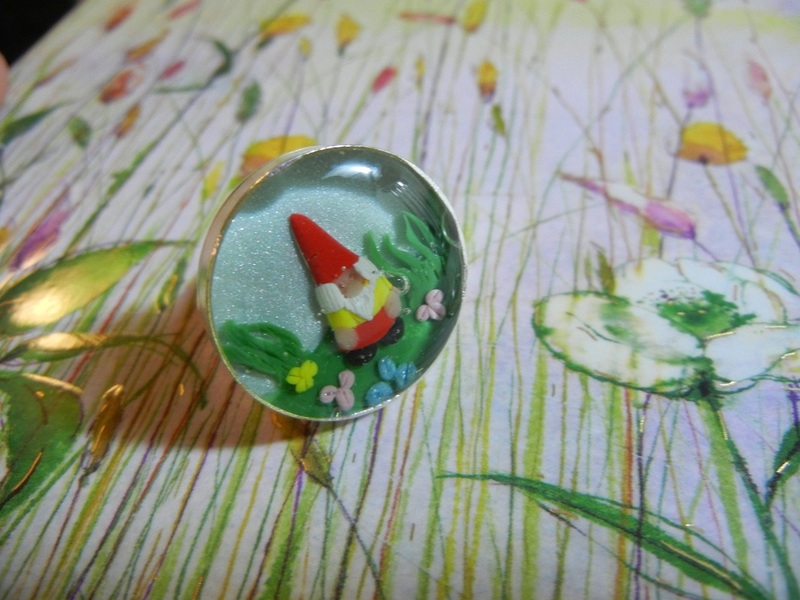 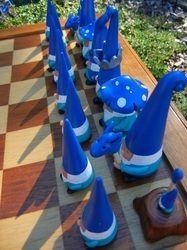 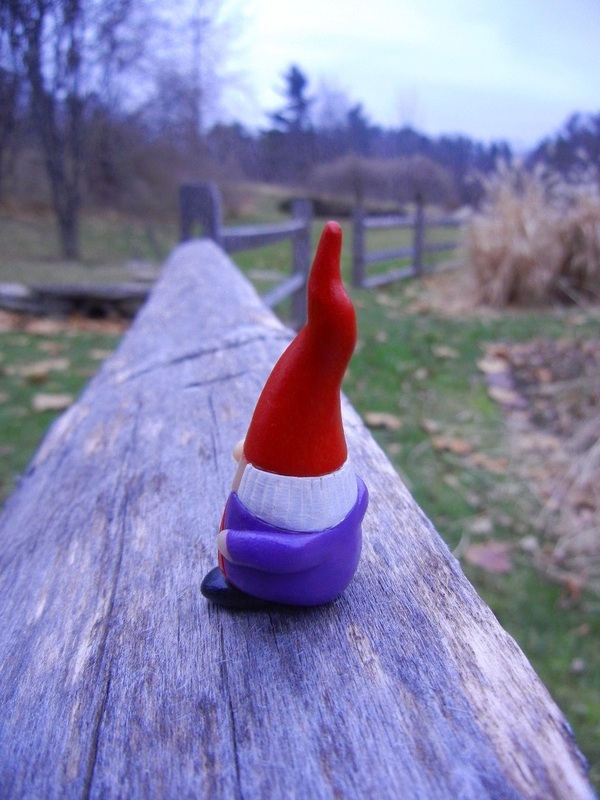 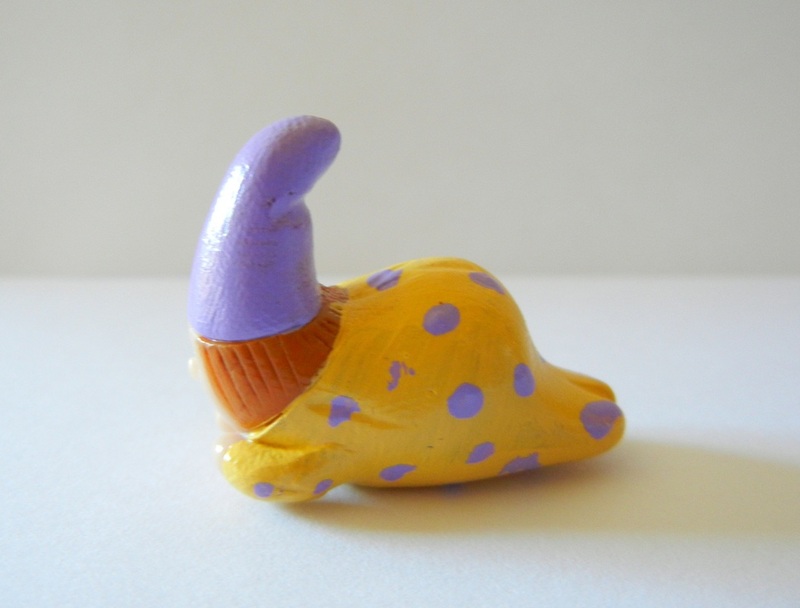 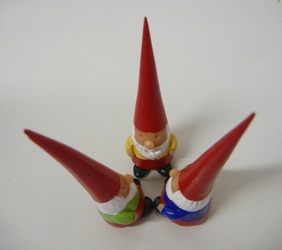 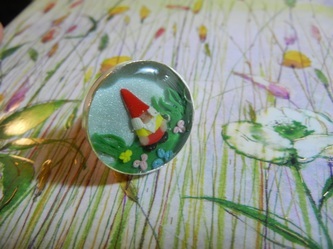 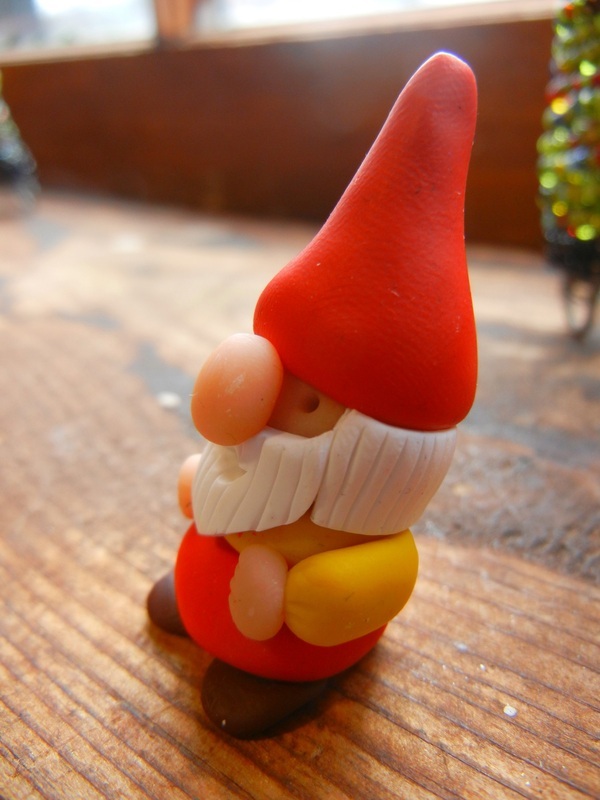 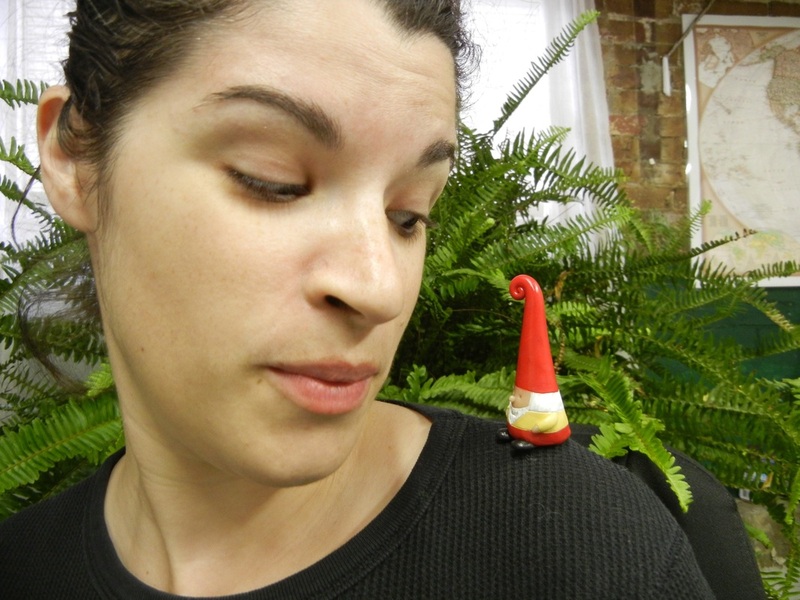 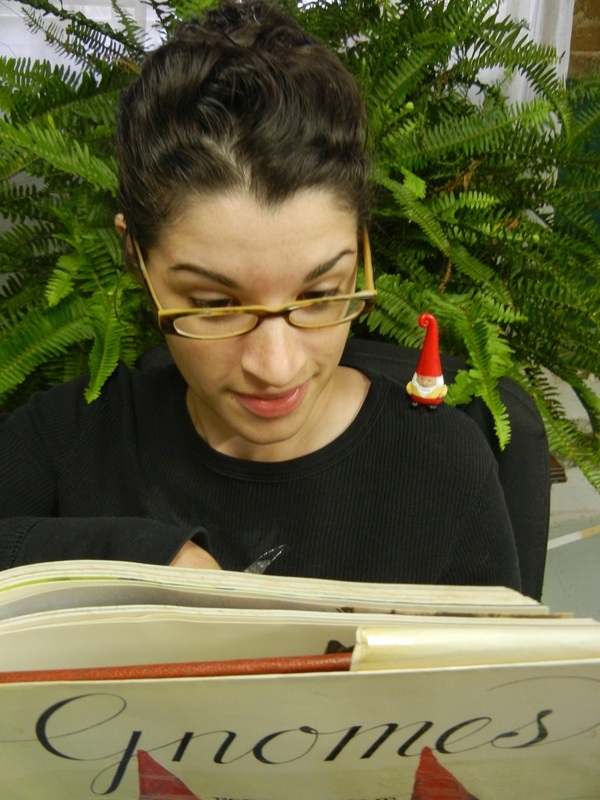 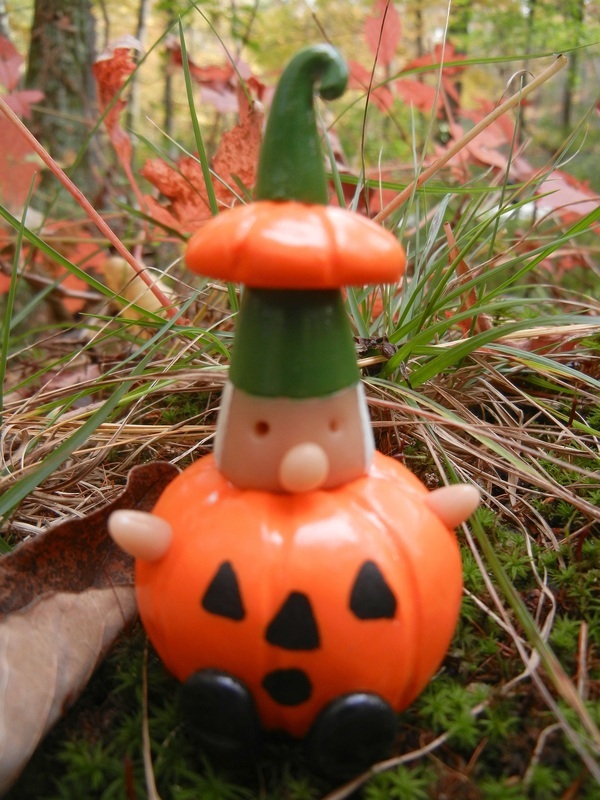 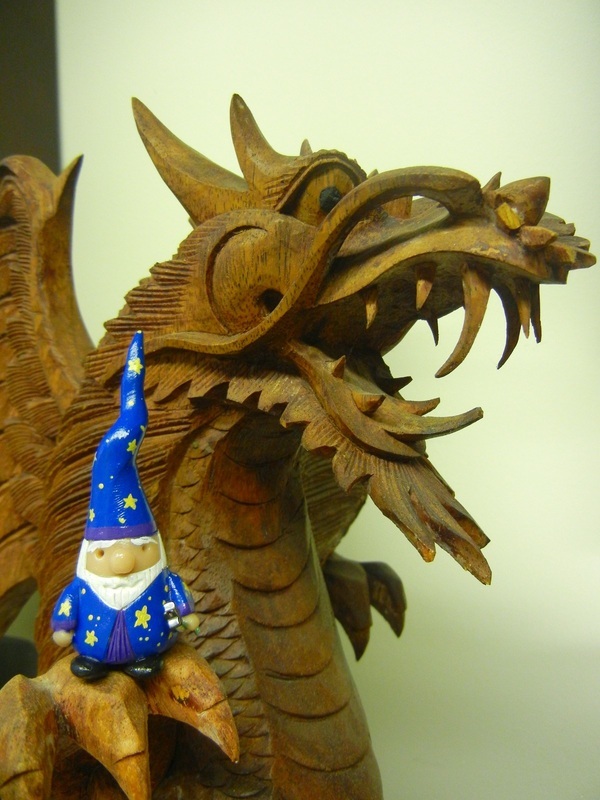 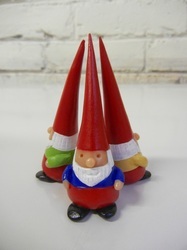 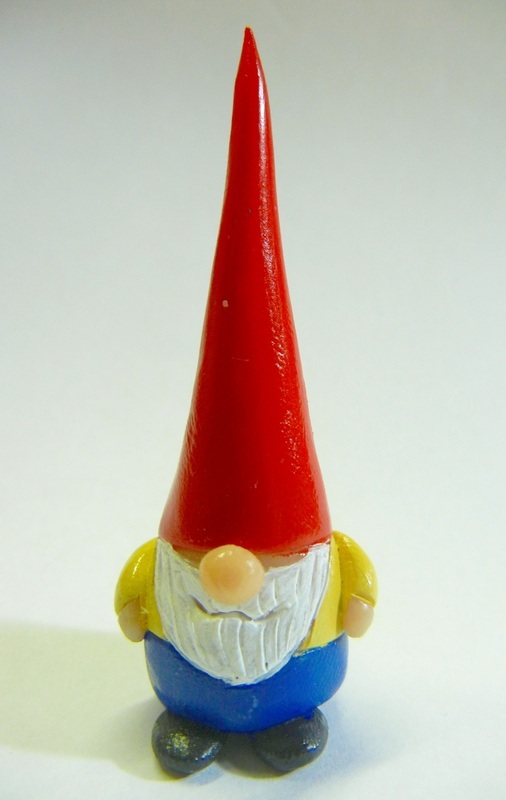 Our other gnome line is lovingly nicknamed the "plushy gnome". 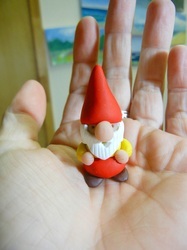 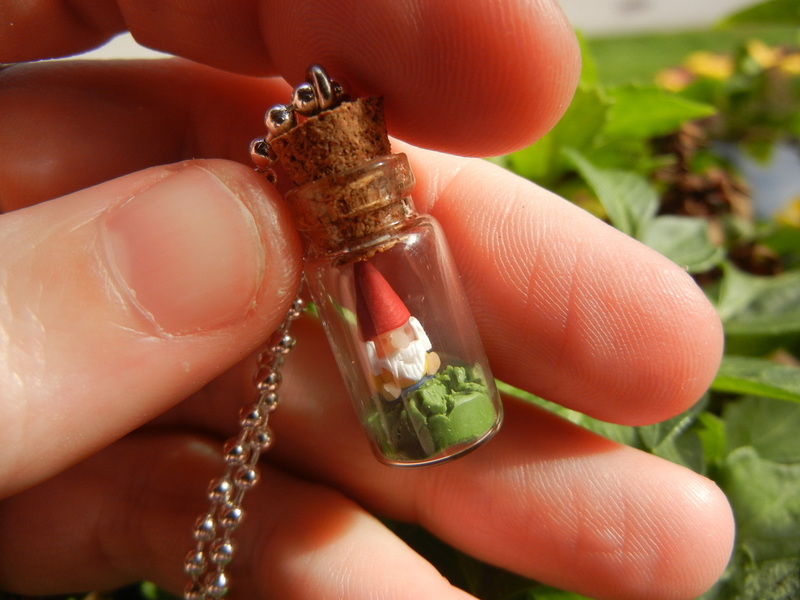 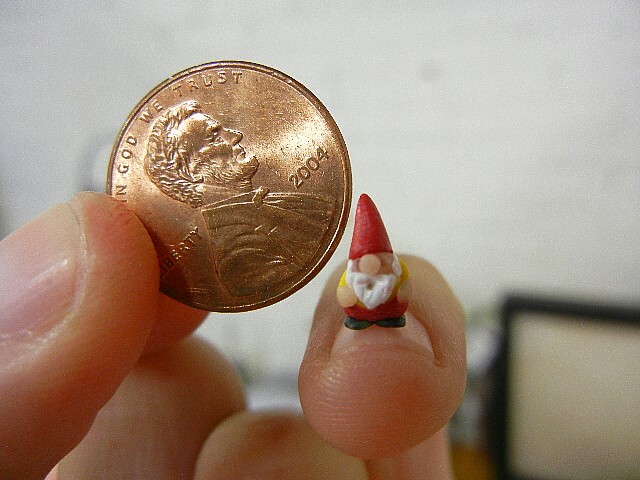 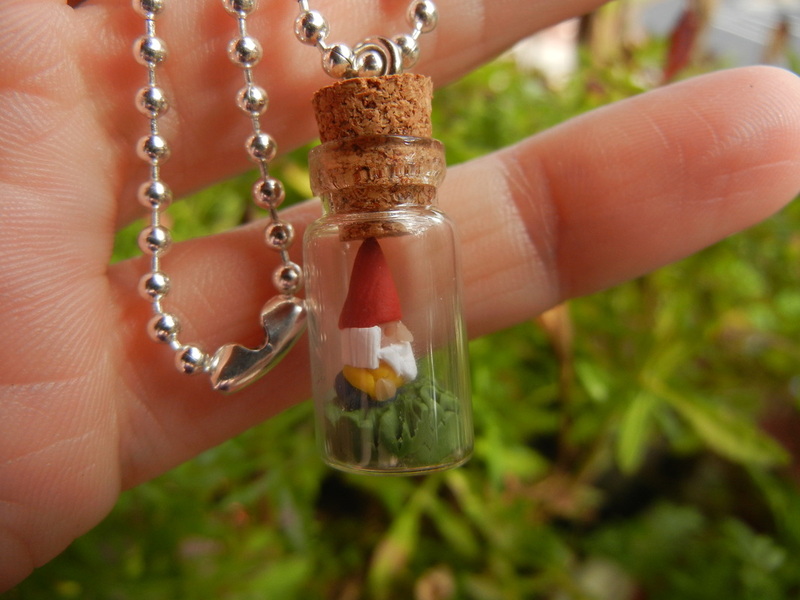 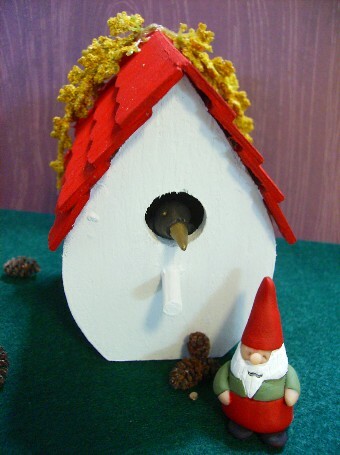 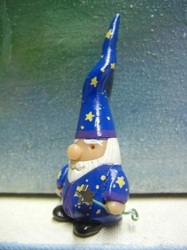 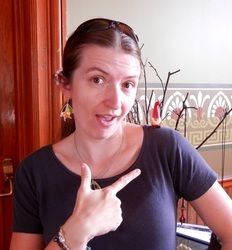 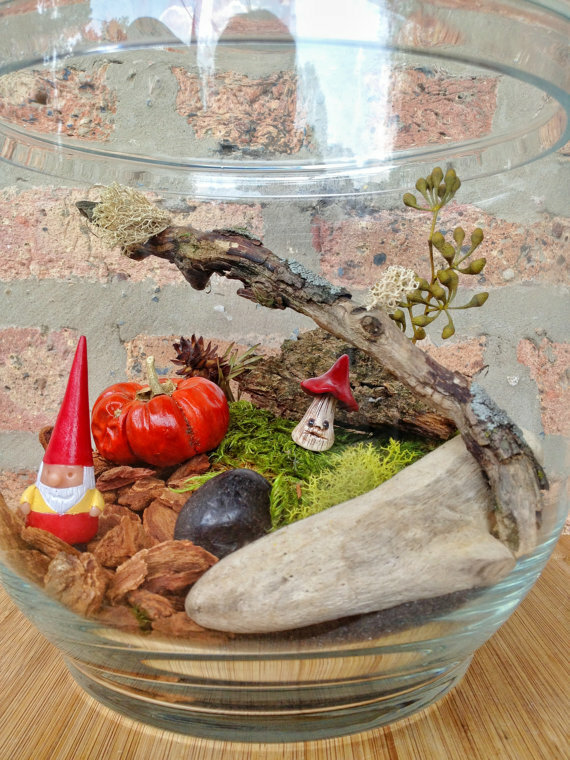 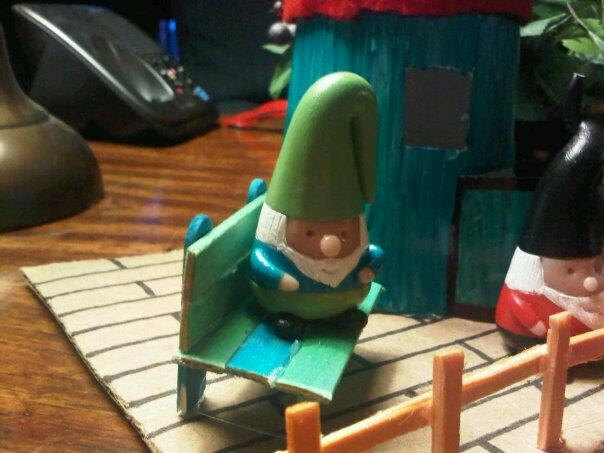 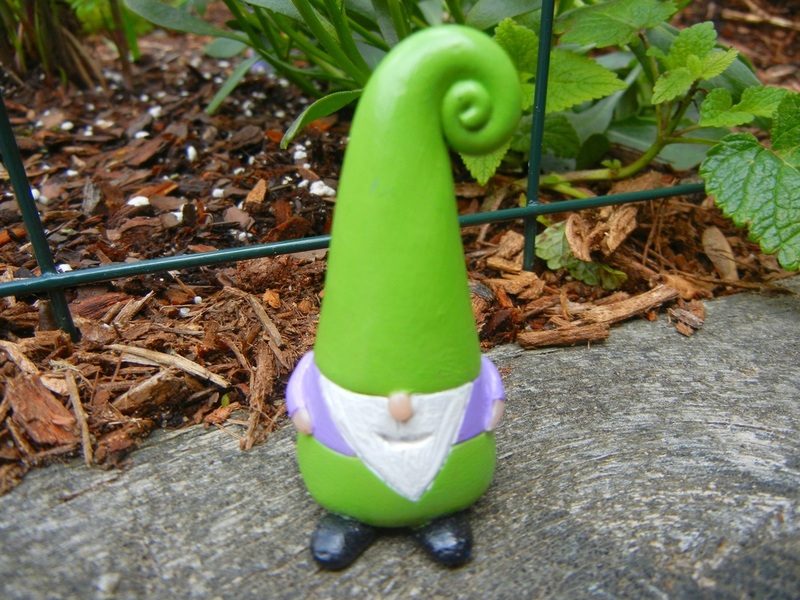 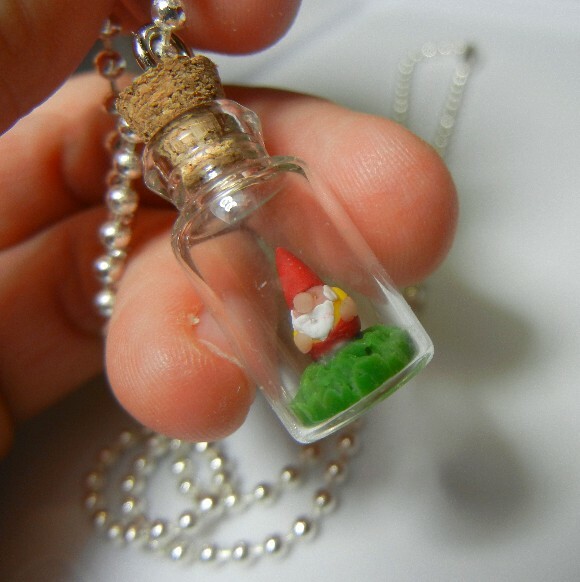 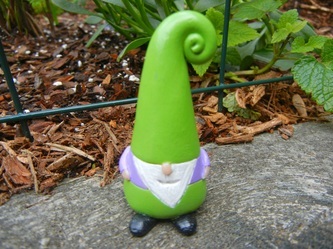 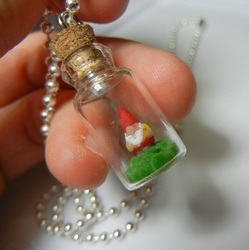 This is the gnome that Melanie teaches during her gnome sculpting classes. 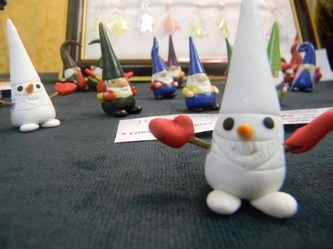 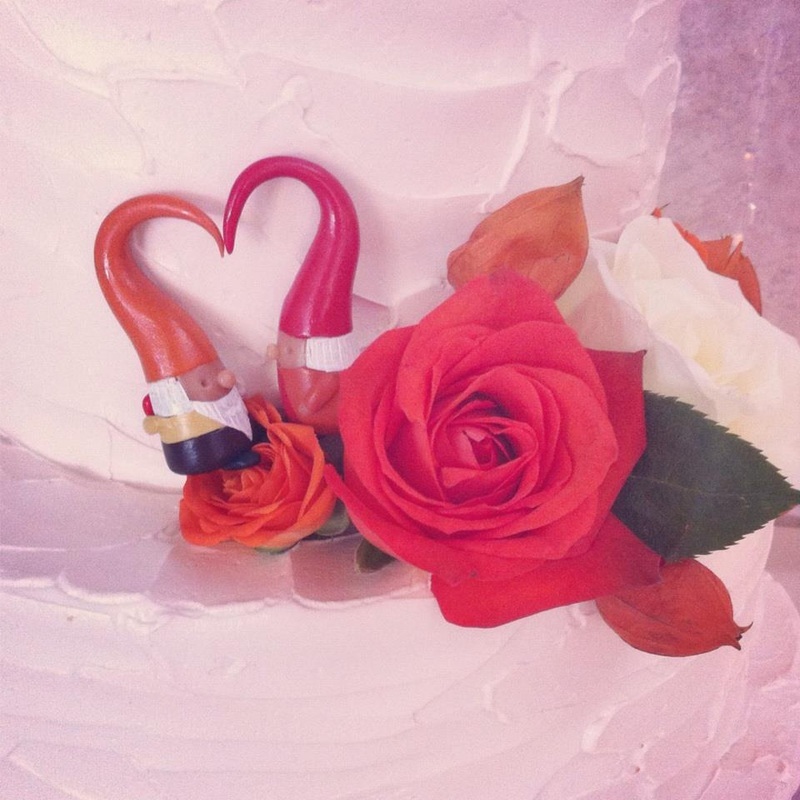 These are completely made of clay. 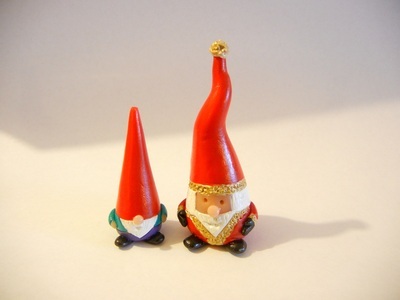 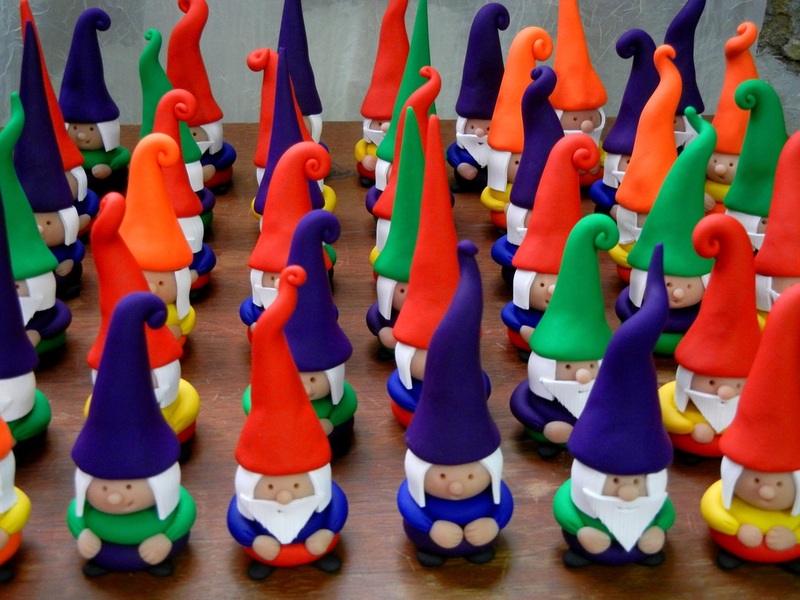 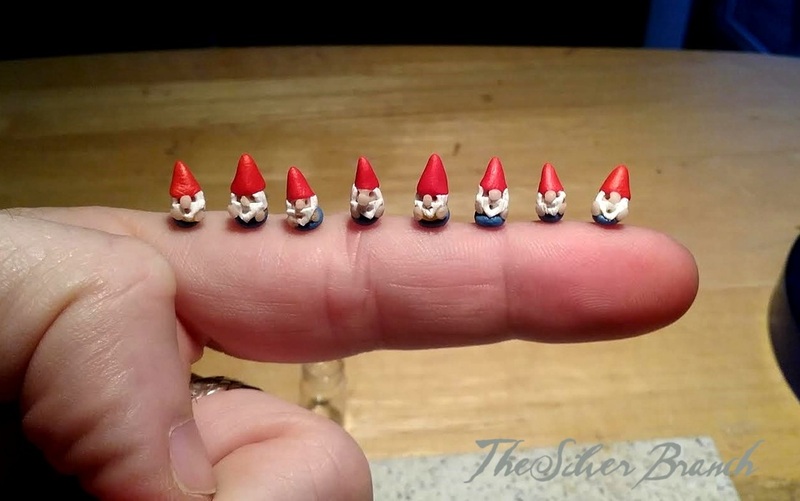 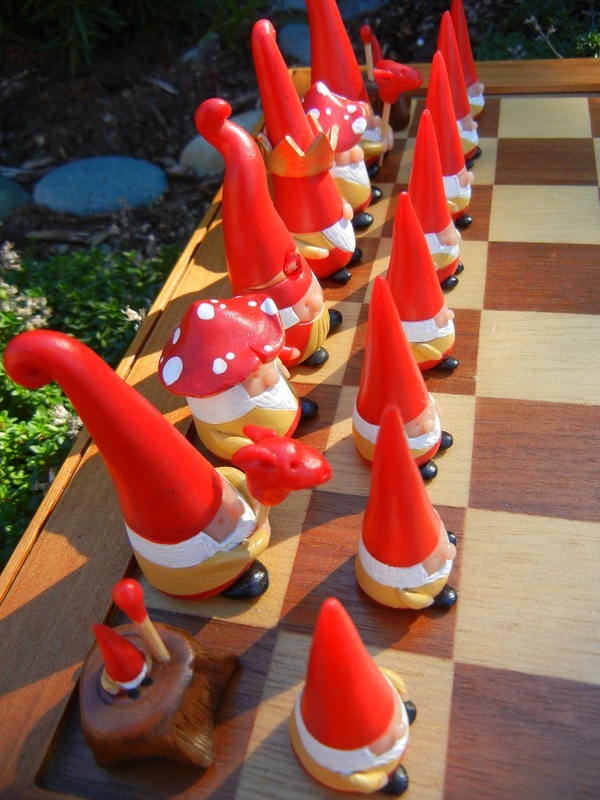 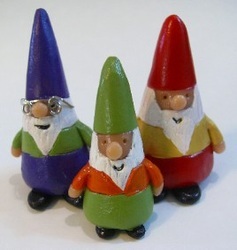 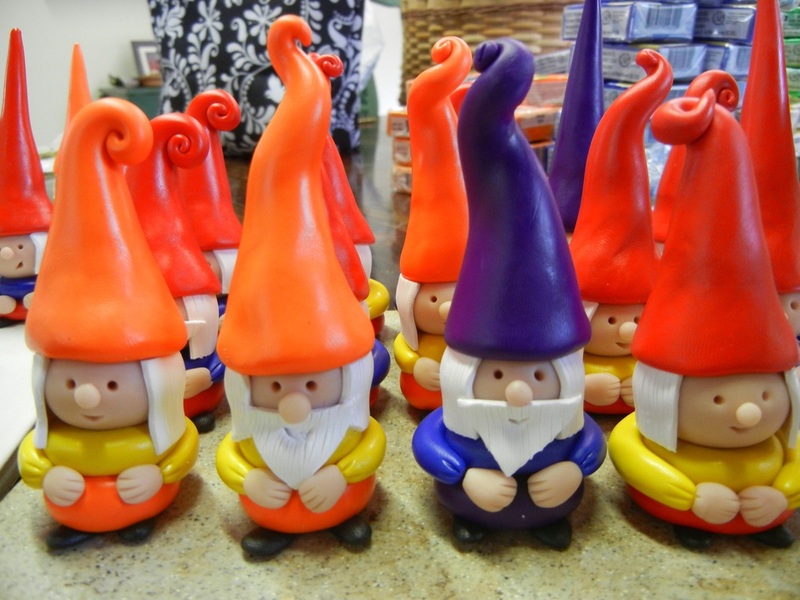 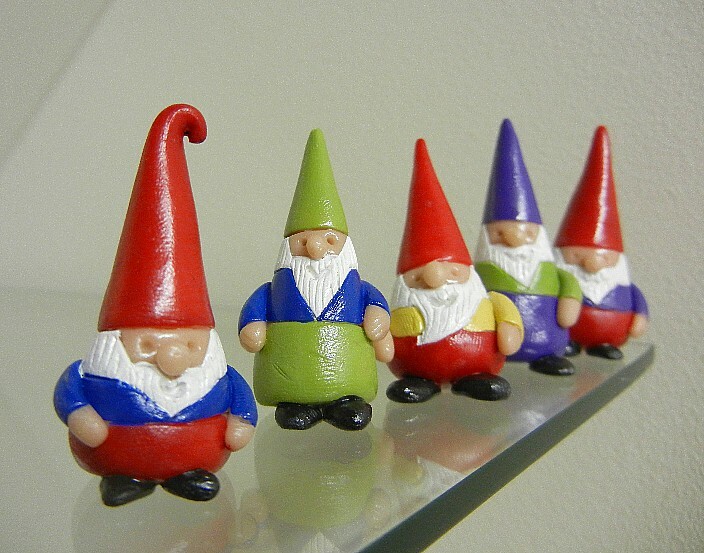 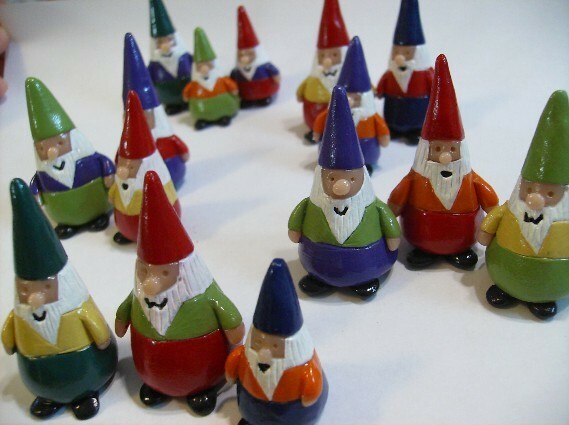 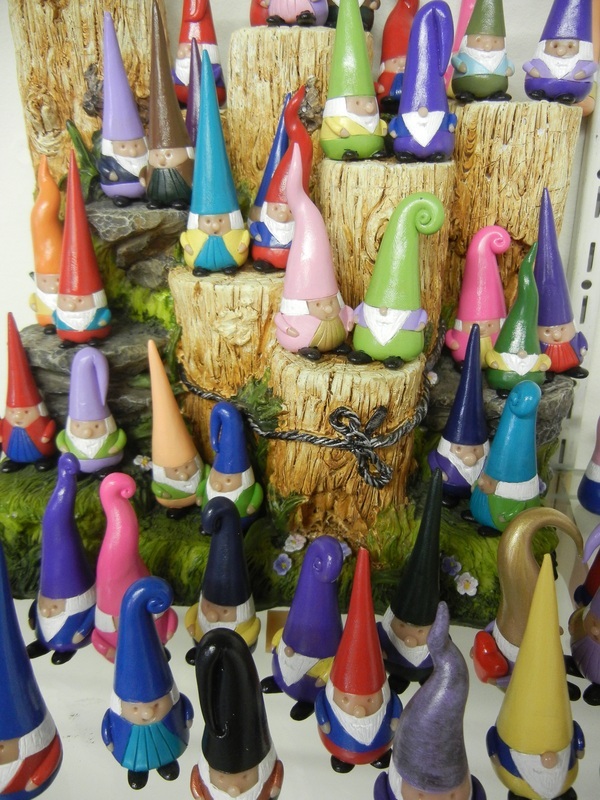 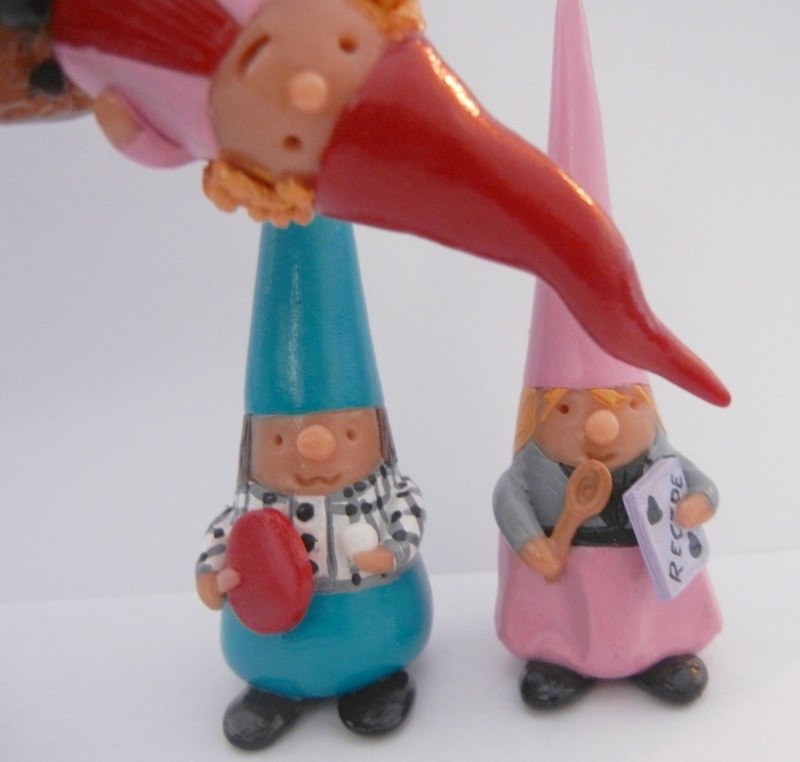 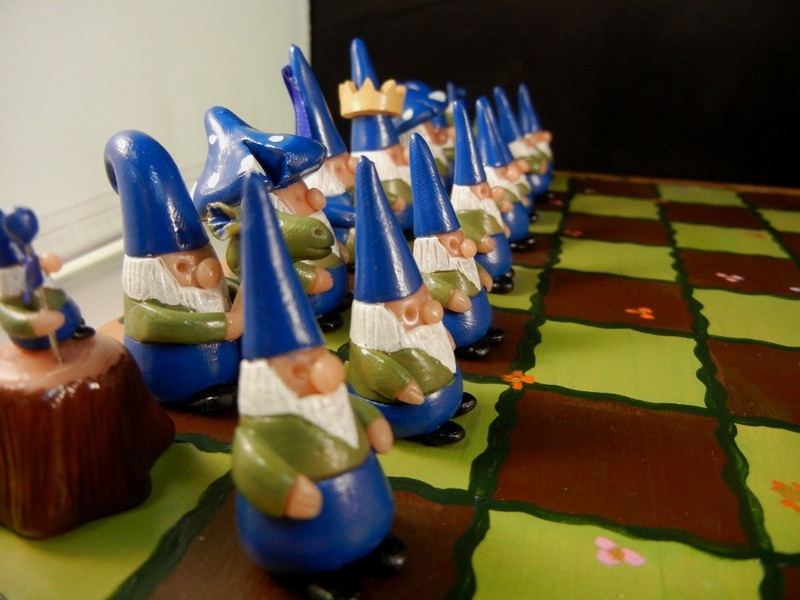 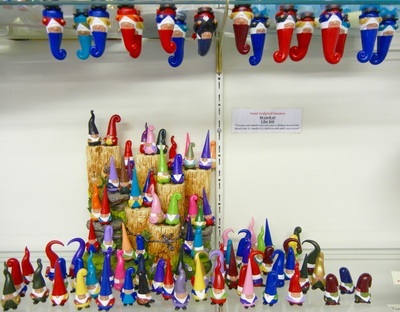 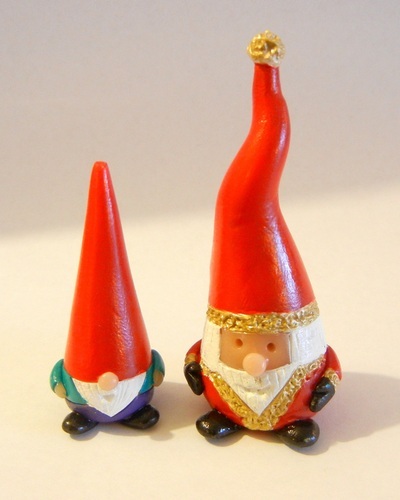 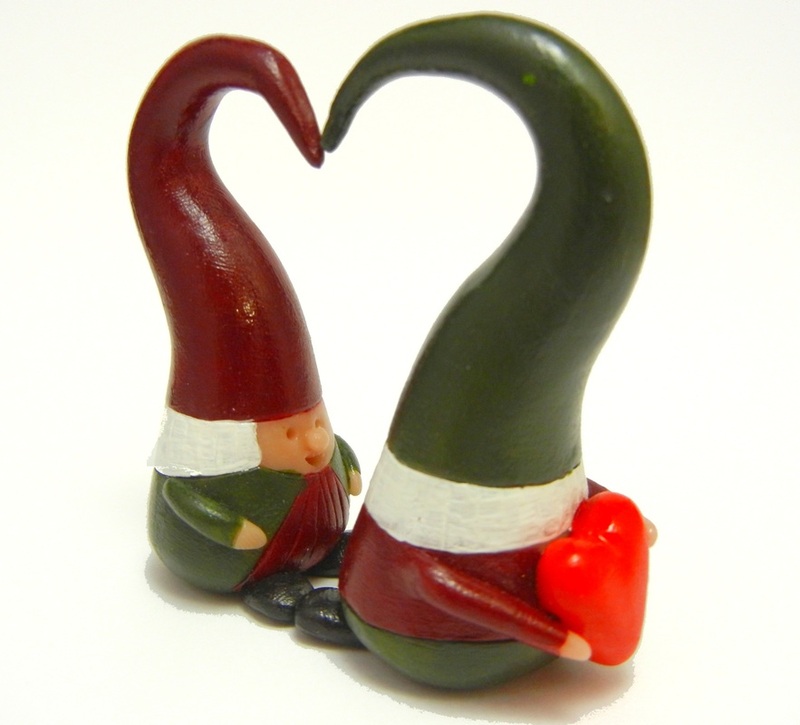 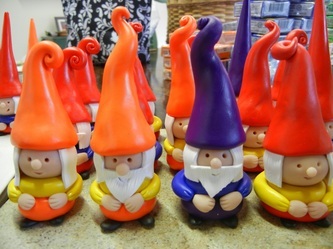 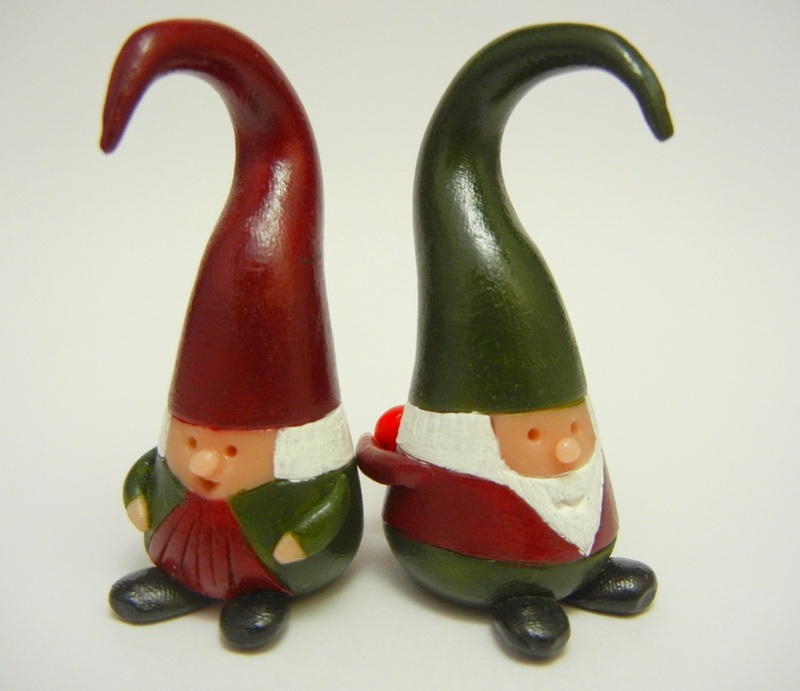 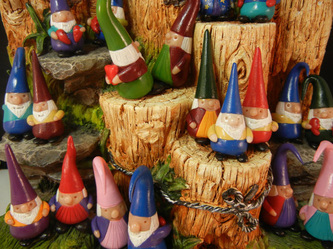 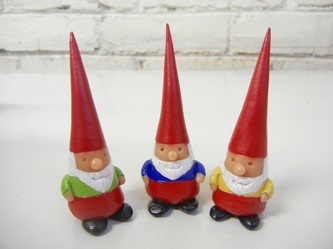 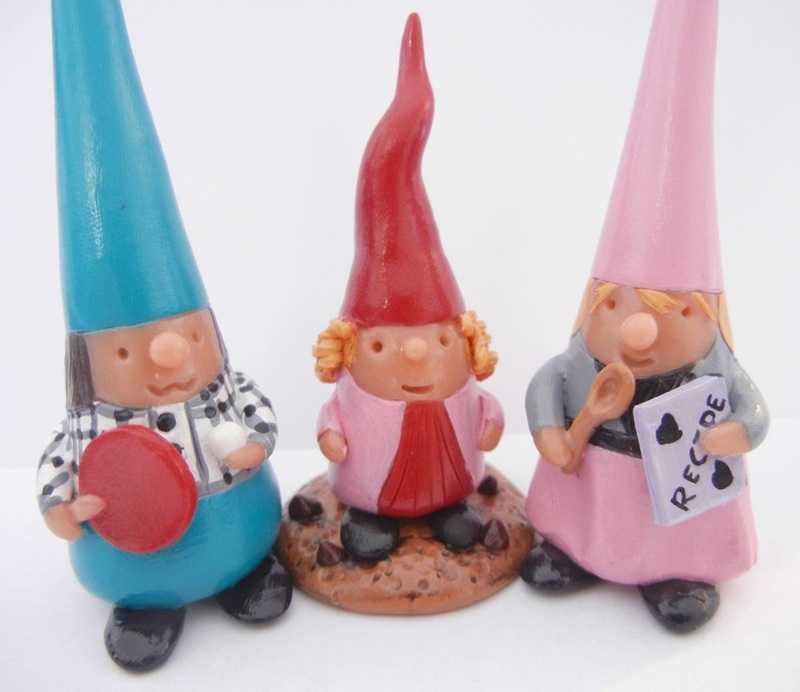 Below are a few of our gnomes - Melanie has sculpted over 3000 of them for new homes around the globe! 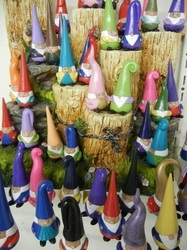 Way too many to show here! 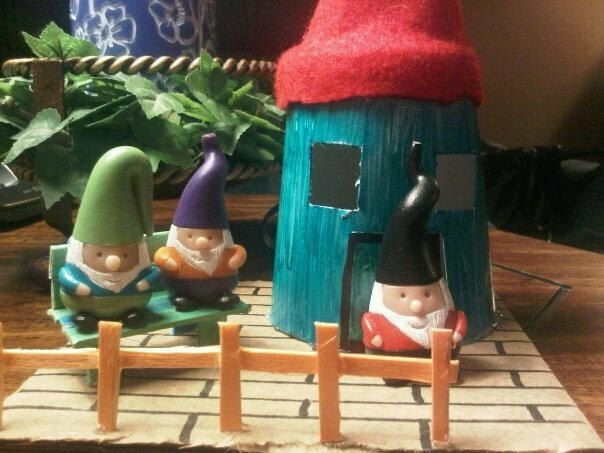 2011-2016 "The Silver Branch Pocket Gnomes" are of an original design and creation method that are protected by copyright law. 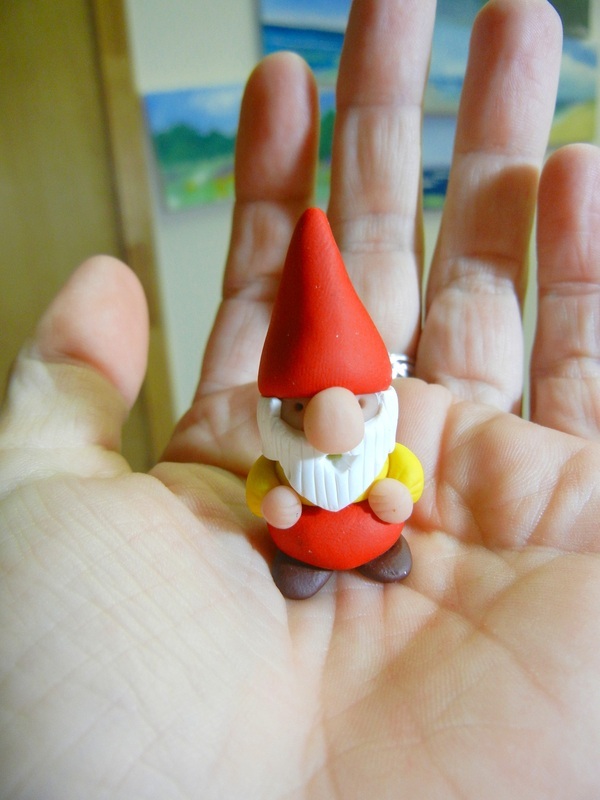 Thank you for supporting original artists and their work! 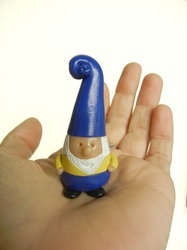 Use the drop down menus above to view more in the gallery or click here to return home.